The 3M Foam Polishing Pad is exactly what you need to keep your boats gelcoat and paint looking polished and brand new. The 3M Foam Polishing Pad is exactly what you need to keep your boats gelcoat and paint looking polished and brand new. 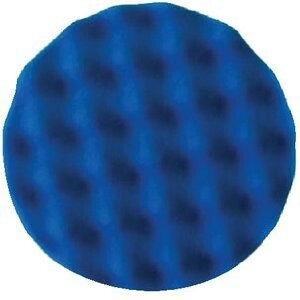 The blue convoluted foam pad is designed to refine fine swirls and provide a high gloss shine. For use with 3M Polishes. Hook and Loop attachment. Single Sided.